Buttons There are 4 products. 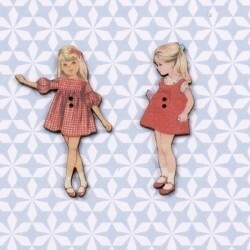 Two adorable buttons for your children's embroidery, each one measure 4.5 cm. 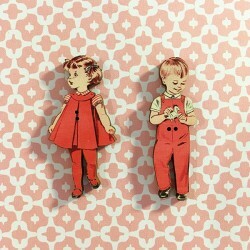 These two very pretty wooden buttons, made in France, measure 6.9 cm. 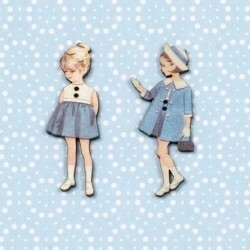 The French chic of the 50s for your embroidery.